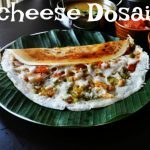 Kollu Podi Recipe with step by step Photos and Video Recipe. 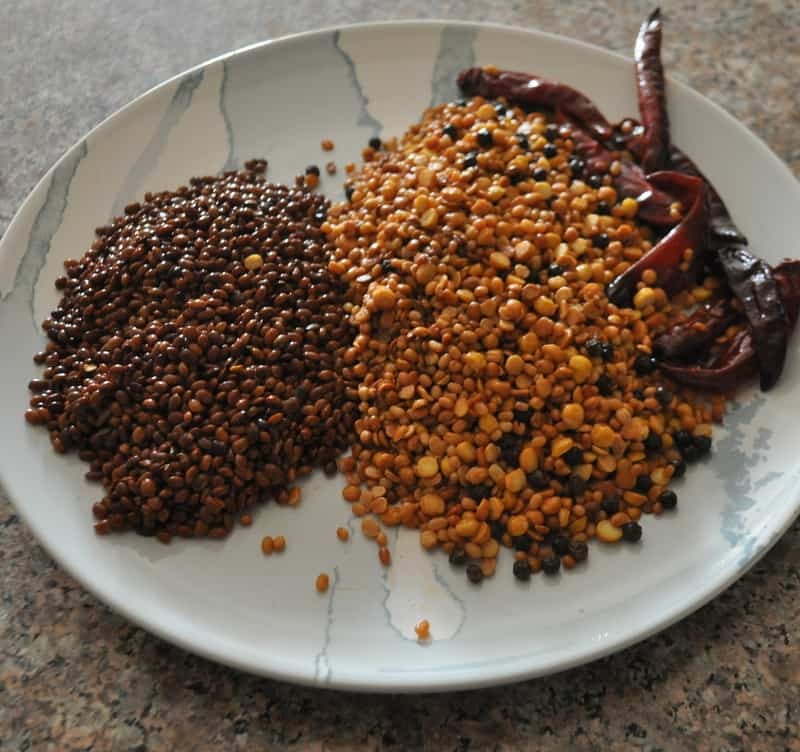 Kollu Podi Recipe(Kollu Paruppu is Horsegram in English) Horsegram powder, is made with protein-rich dal and black peppercorns, dry red chili roasted in coconut oil. No garlic added. 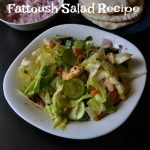 100% healthy weight loss recipe for weight watchers. time taken to make Kollu Podi is just 15 mins. 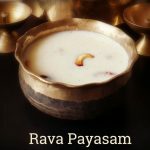 Unique Kollu Recipes links are also shared in this post. 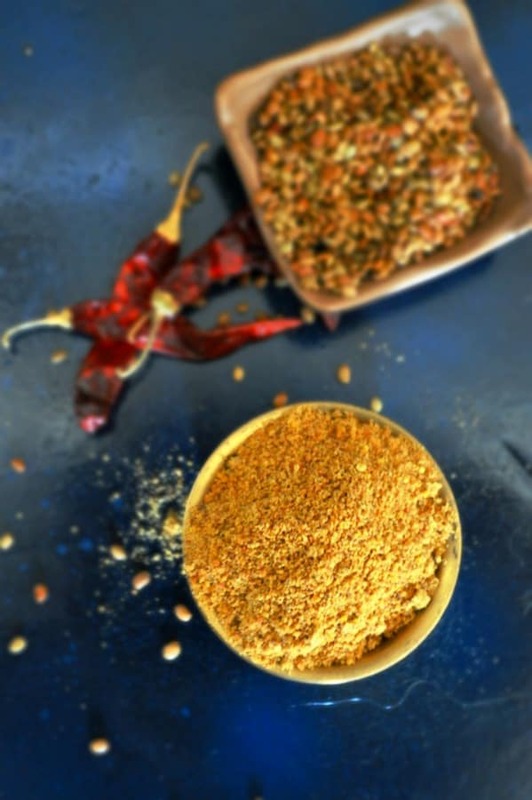 Spicy Kollu Podi Recipe goes well with Idli/dosa or hot Steaming rice with dashing of ghee. Have u Seen the color of the Kollu Podi in the above picture it’s amazing, it’s time to make and store your Kollu Podi at home handy? Here is a batch of Kollu Podi made today and posted here. Roasting the dal(Kollu Paruppu) is very important, it should not turn black. 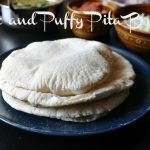 while roasting you will hear a popping sound that stays you should stop roasting the Kollu. 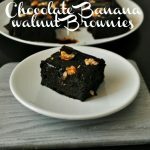 Do check the video after roasting the color should be golden brown, not dark brown. Same as the Kollu Paruppu we have to roast other ingredients golden brown even the dry red chilli also should not burn. We can add curry leaves while roasting. 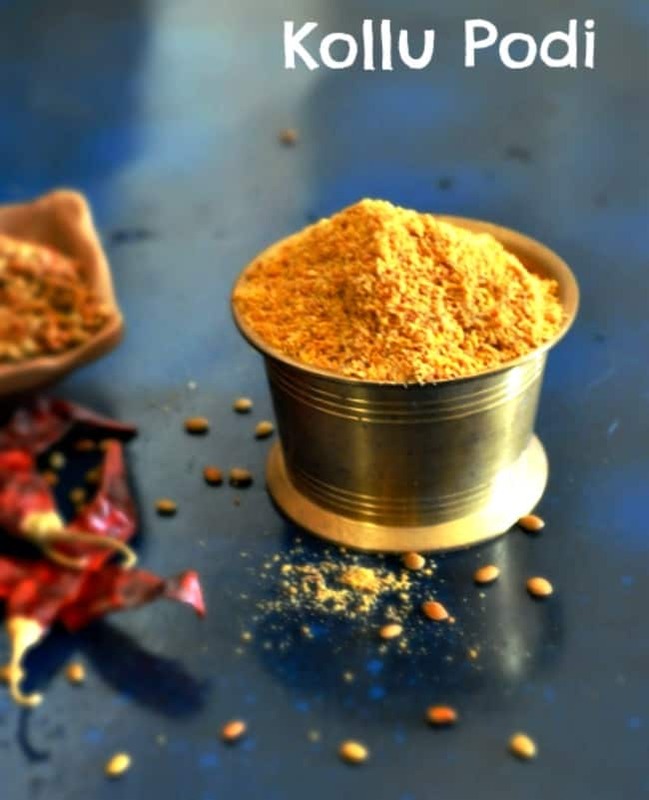 For good Flavourful Kollu Podi recipe roast it in coconut oil or ghee. Step: 1 Take a pan and heat a tsp of coconut oil or ghee, roast the Kollu (horse gram) until it turns golden brown. Remove it to a plate and roast the Urad dal, channa dal, Toor dal, Peppercorns, Hing and Dry red chili. Once they started turning to golden brown remove it from the stove and let it cool down completely. Step:2 Transfer the roasted Kollu mixture to the blender jar and powder it. 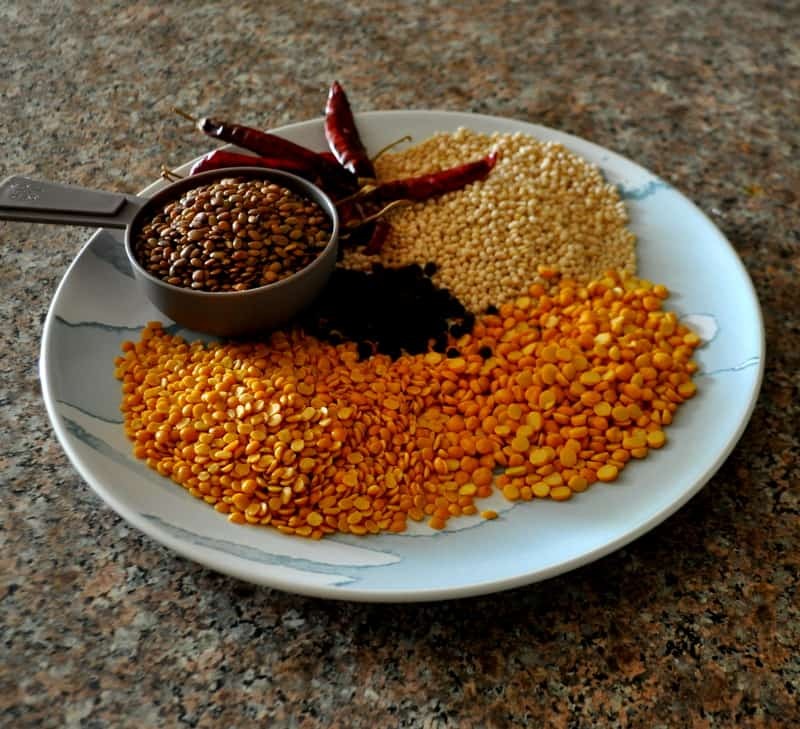 Kollu Podi is now ready to taste with Idli or with steamed rice. Kollu Podi Weight loss tips, For effective weight loss roast and ground the Kollu and have the Kollu powder with the buttermilk every day. It will burn the belly fat and increase the metabolic rate also. 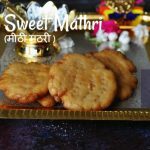 Take a pan and heat a tsp of coconut oil or ghee, roast the Kollu (horse gram) until it turns golden brown. Remove it to a plate. Roast the Urad dal, channa dal, Toor dal, Peppercorns, Hing and Dry red chili. Once they started turning to golden brown remove it from the stove and let it cool down completely. 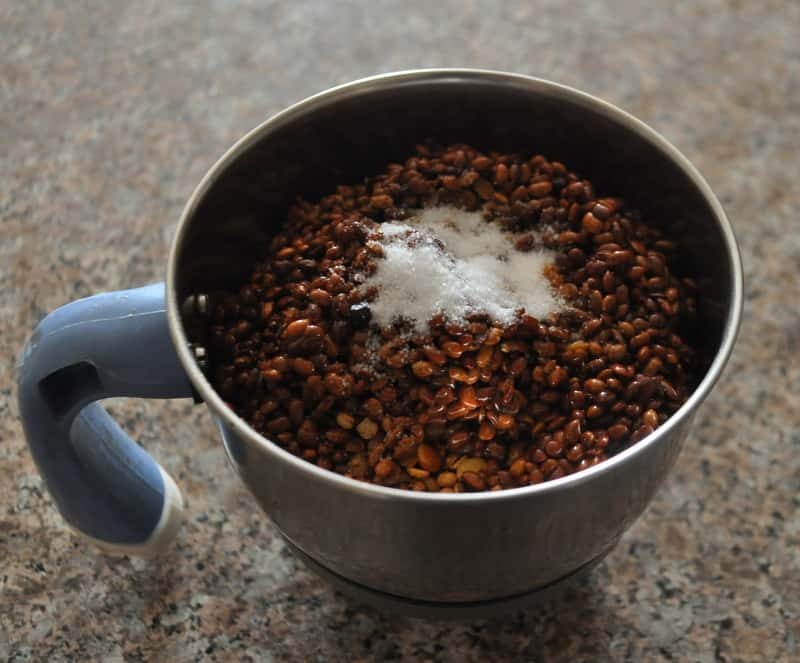 Transfer the roasted Kollu mixture to the blender jar and powder it. Kollu Podi is now ready to taste with Idli or with steamed rice. Make and store in an airtight container. It will come for 1 month if we store properly.